While some of our readers liked this book, the majority felt this one fell a little flat unfortunately. We were looking forward to this read, considering we loved ‘Big Little Lies’ and ‘The Husband’s Secret’ amongst her others, but were left a little disappointed. We found it a very slow start and a bit repetitive with some characters hard to engage. For those of us who did enjoy this book, they likened it to a good holiday, on-the-beach read. 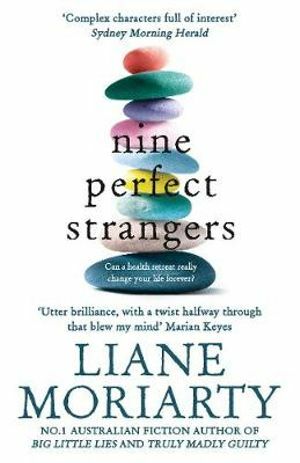 This entry was posted in Australian Authors, Book Club Kits, Book Reviews, Fiction, Recommended Reading, Staff Favourites and tagged Book Club Kit, book review, Liane Moriarty, nine perfect strangers by Jody. Bookmark the permalink.